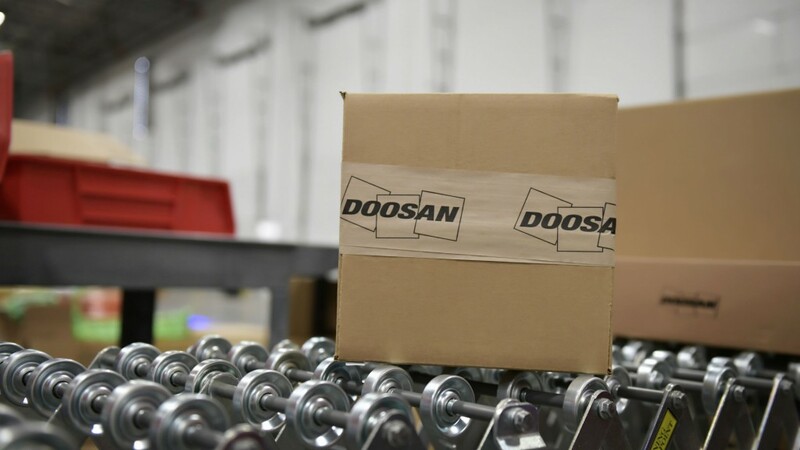 In late 2018, Doosan opened a new 100,000-square-foot parts distribution centre in the Atlanta area. A second Doosan parts distribution centre in Lacey, Washington, became operational April 1, 2019. The Doosan parts distribution centre in Lacey is approximately 57,000 square feet. Doosan dealers and customers in the Western United States and Canada will benefit from the new facility, with better service options, deeper inventory and faster parts delivery. "The opening of our second Doosan parts distribution centre in North America demonstrates our continued focus to enhancing our service to our Doosan dealers and customers," said Edward Song, CEO, Doosan Infracore North America. "Like our Atlanta-area parts distribution centre that came online last December, this facility ensures our dealers and customers have access to genuine Doosan parts from a dedicated warehouse." The Lacey facility is designed for genuine Doosan parts distribution and shipping. It is managed by DHL Supply Chain – the Americas' leader in contract logistics. The center will initially stock approximately 9,000 stock keeping units (SKUs) that can be shipped to service Doosan equipment throughout the Western United States and Canada, with room to expand parts inventory. Such Doosan construction equipment includes articulated dump trucks, crawler excavators, material handlers, mini excavators, log loaders and wheel loaders. DHL's Transportation Brokerage Service will manage the Doosan less than load (LTL) outbound transportation to Doosan equipment dealers located in the Western United States and Canada. "We are being strategic with the locations of our North American parts distribution centres," said Clay Caldwell, Doosan director of parts. "Our Atlanta-area parts distribution center is intended to serve our Doosan dealers and customers from the East Coast to the Midwest. The new centre in the Seattle area serves customers from the West Coast to the Midwest. "The new facility's location is intentional, knowing we have a large customer base in the Pacific Northwest who work in forestry and logging applications. Our Lacey facility not only provides them with access to critical replacement parts quickly, it helps our growing focus on serving customers in construction, processing and other market segments who operate equipment in a variety of demanding applications."